The Blot’s been waiting for this day for a very long time! 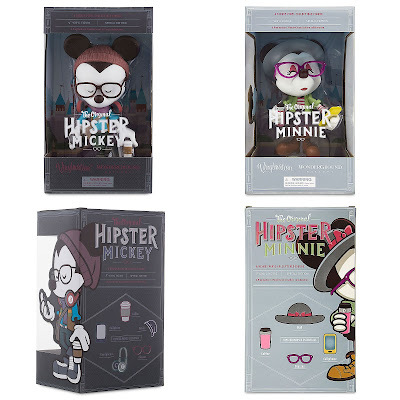 The Disney Store has finally released Jerrod Maruyama’s awesome Hipster Mickey Mouse and Hipster Minnie Mouse Special Edition Vinylmation vinyl figures online. 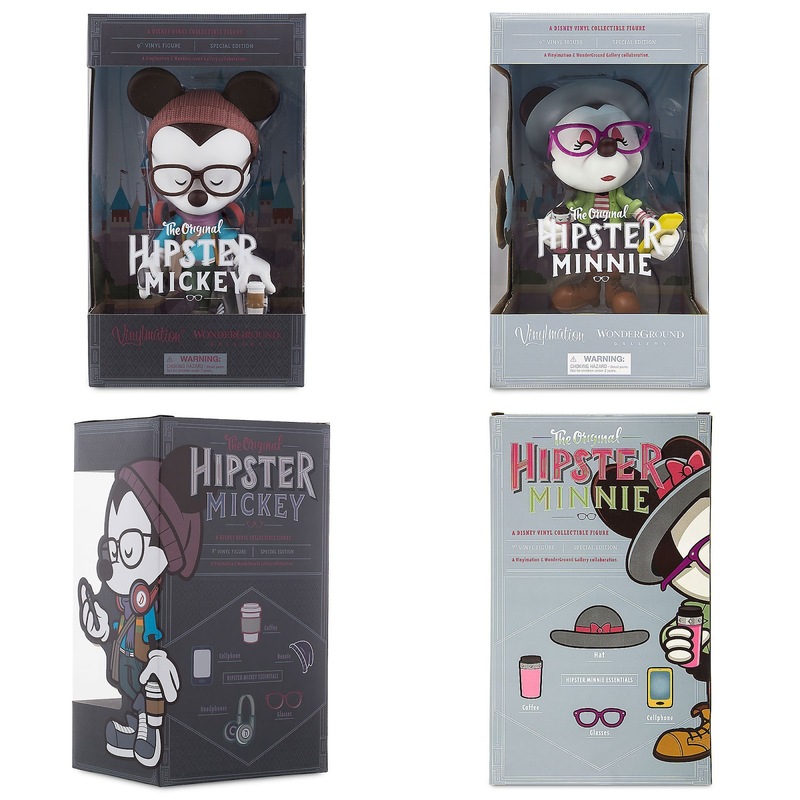 Created exclusively for Disneyland's WonderGround Gallery, Hipster Mickey and Minnie take a coffee break at The Happiest Place on Earth in the form of this fully sculptured 9'” Vinylmation figure. 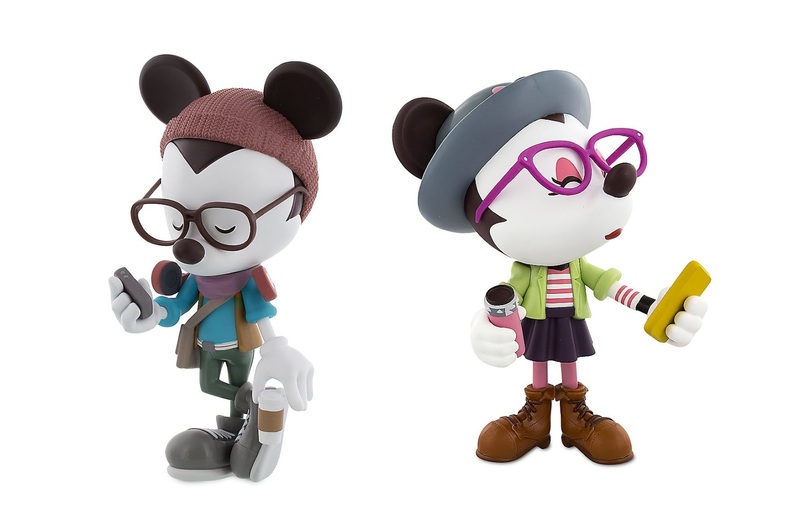 Hipster Mickey Mouse comes wearing skinny jeans, scarf, crossbody bag and sneakers, and includes a coffee cup, beanie, cellphone, headphones and glasses. Hipster Minnie Mouse comes wearing a skirt, striped shirt, blazer with sleeves rolled up, and laced shoes, and includes a coffee travel mug, cellphone, hat and glasses. Each figure is packaged in an illustrated window display box with a Sleeping Beauty Castle backdrop. Both figures can be purchased now at DisneyStore.com for $69.95 each.